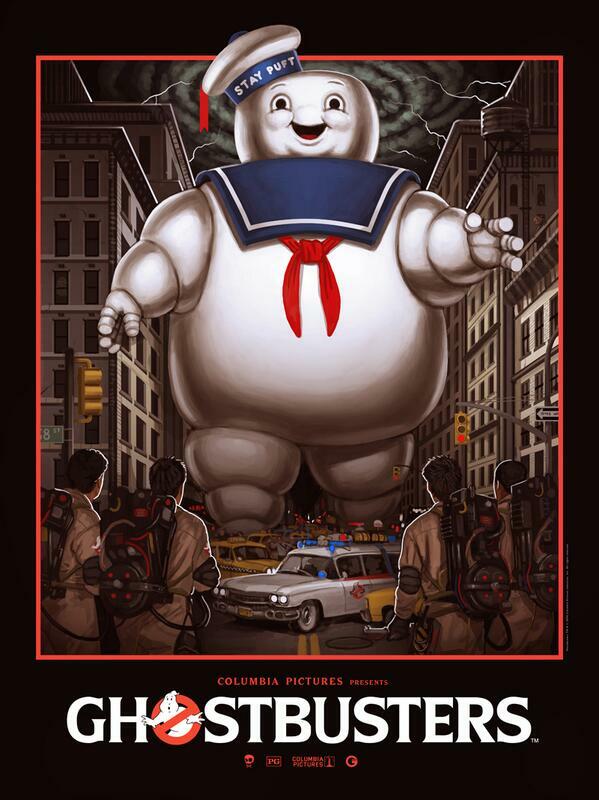 For years, fans of Ghostbusters have pined for a show of officially licensed art for the film. Well, earlier this year they got their wish, when it was announced that Gallery 88 would be hosting a show devoted entirely to Ghostbusters to celebrate its 30th anniversary. In fact, they got even more than they could have ever possibly imagined, when it was revealed that there would be four separate shows in four different cities. First up is this Saturday in New York City. Between the artist list and the previews that have been revealed so far, it looks like the show will deliver some incredible art for the film. Scheduled to have work at the show are Mark Englert, Mike Mitchell, Scott C, Rich Kelly, Joshua Budich, Godmachine, DKNG, Jason Edmiston, Gary Pullin, Dave Perillo and many, many more. The show opens this Saturday from 7-10PM. There will be three more shows in the coming months in LA, Chicago and San Diego for Comic Con. To those attending, enjoy the show!